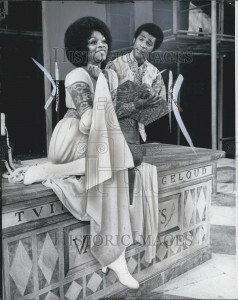 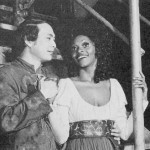 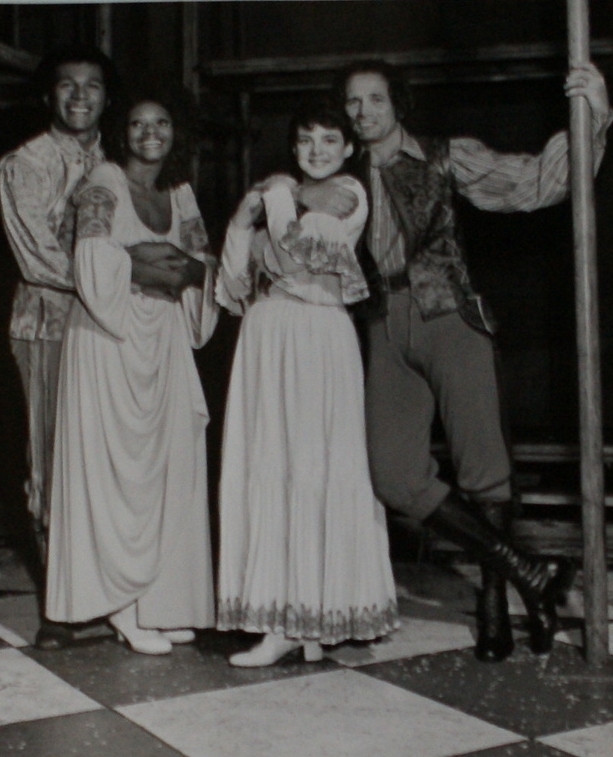 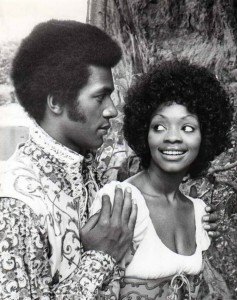 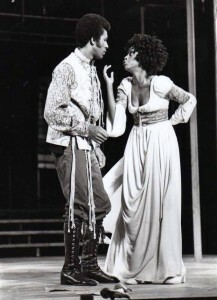 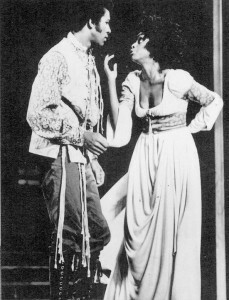 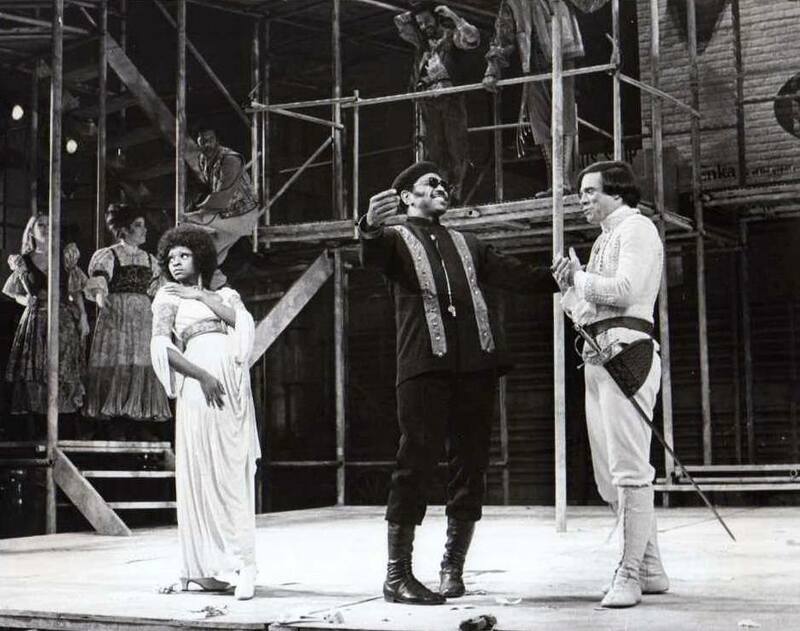 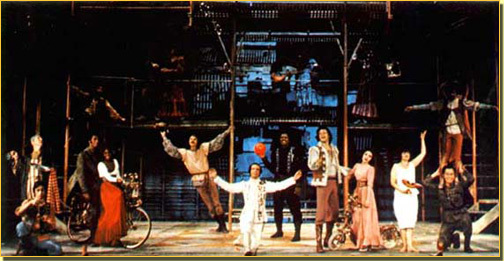 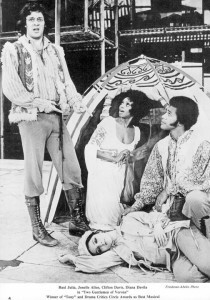 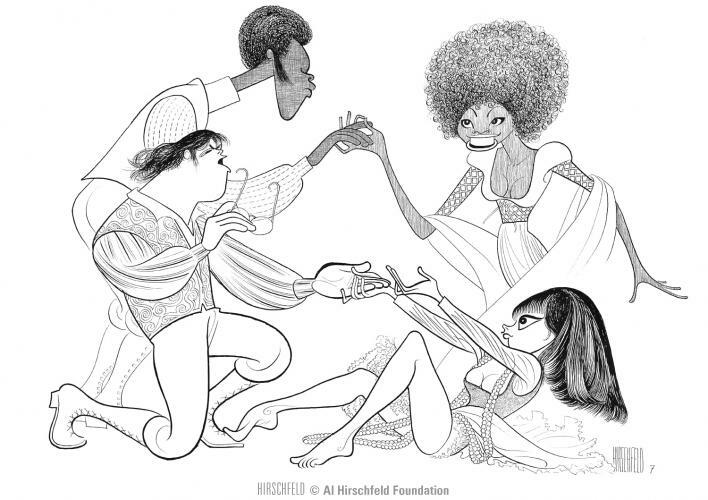 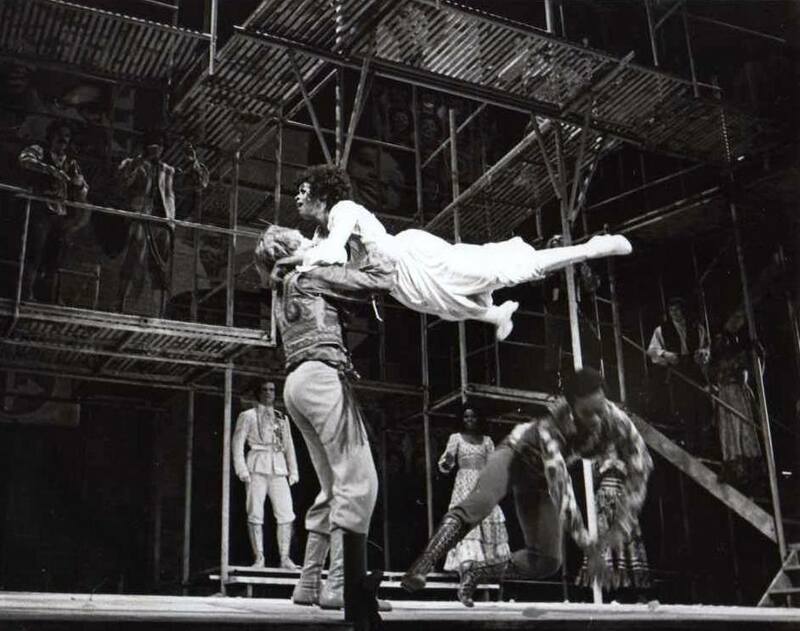 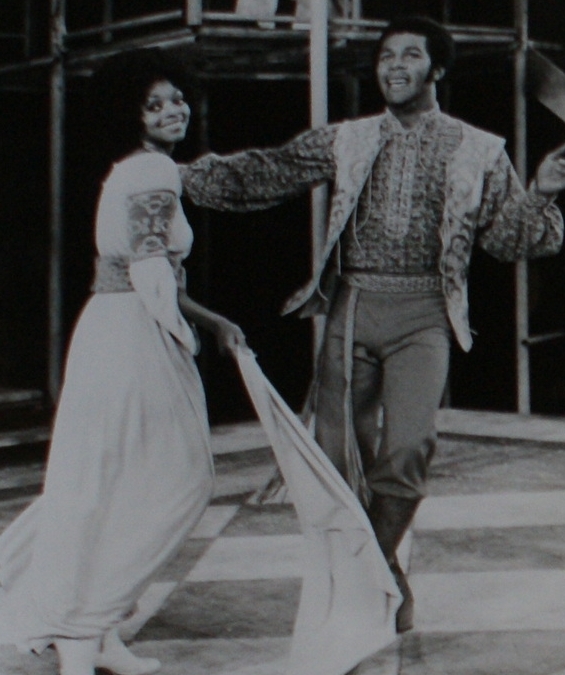 Original Delacorte cast featuring Raul Julia, Carla Pinza (holding tambourines) as Julia and to the far right, Miss Jonelle Allen as Sylvia. 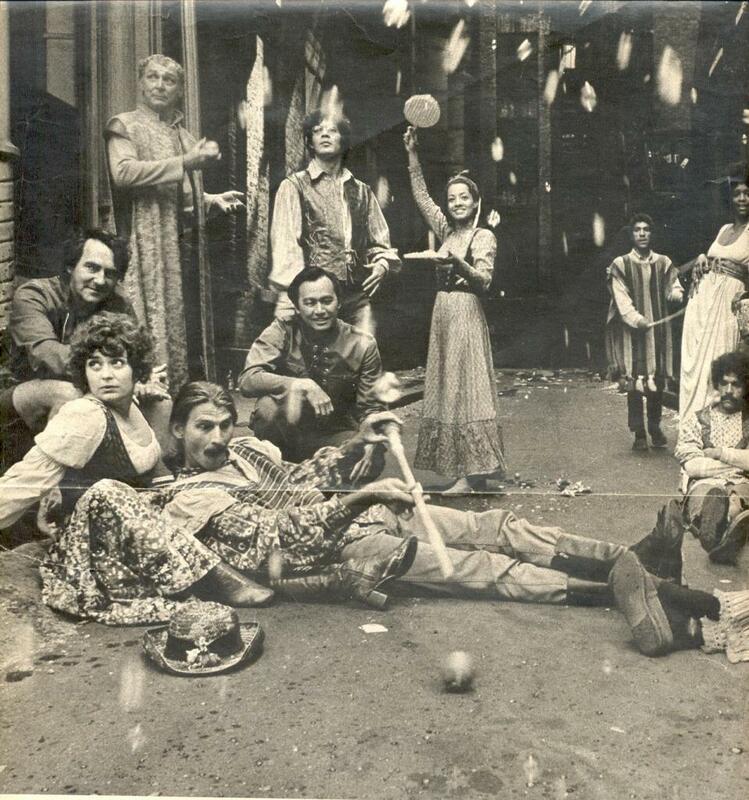 Joseph Papp (Producer of the NYSF) is kneeling to the far left. 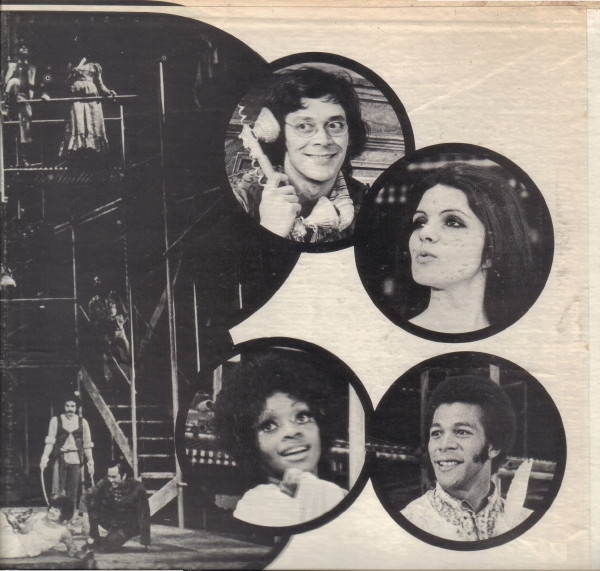 Raul Julia, Clifton Davis, Jonelle Allen, Stockard Channing y Jeff Goldblum.